Boy Scouting works toward three aims. One is growth in moral strength and character. We may define this as what the boy is himself: his personal qualities, his values, his outlook. A third aim of Boy Scouting is development of physical, mental, and emotional fitness. Fitness includes the body (well-tuned and healthy), the mind (able to think and solve problems), and the emotions (self-control, courage, and self-respect). The ideals of Boy Scouting are spelled out in the Scout Oath, the Scout Law, the Scout motto, and the Scout slogan. The Boy Scout measures himself against these ideals and continually tries to improve. The goals are high, and, as he reaches for them, he has some control over what and who he becomes. 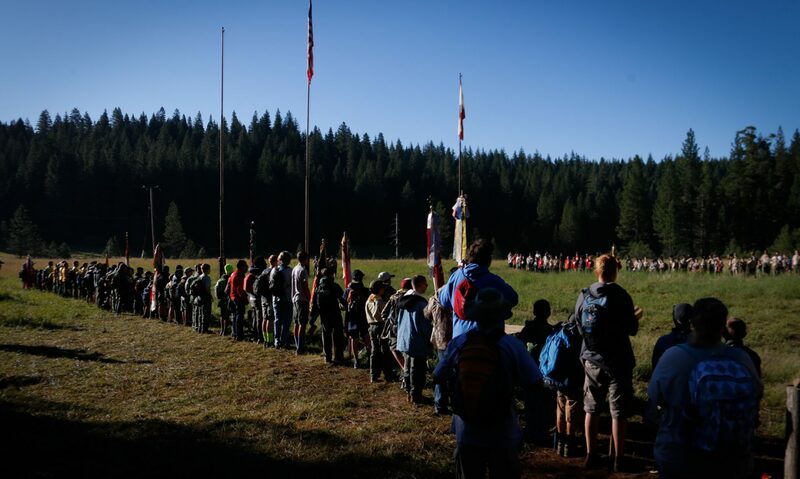 Boy Scouting is designed to take place outdoors. It is in the outdoor setting that Scouts share responsibilities and learn to live with one another. It is here that the skills and activities practiced at troop meetings come alive with purpose. Being close to nature helps Boy Scouts gain an appreciation for God’s handiwork and humankind’s place in it. The outdoors is the laboratory for Boy Scouts to learn ecology and practice conservation of nature’s resources. Boys learn a great deal by watching how adults conduct themselves. Scout leaders can be positive role models for the members of their troops. In many cases a Scoutmaster who is willing to listen to boys, encourage them, and take a sincere interest in them can make a profound difference in their lives. As Boy Scouts plan their activities and progress toward their goals, they experience personal growth. The Good Turn concept is a major part of the personal growth method of Boy Scouting. Boys grow as they participate in community service projects and do Good Turns for others. Probably no device is so successful in developing a basis for personal growth as the daily Good Turn. The religious emblems program also is a large part of the personal growth method. Frequent personal conferences with his Scoutmaster help each Boy Scout to determine his growth toward Scouting’s aims. The uniform makes the Boy Scout troop visible as a force for good and creates a positive youth image in the community. Boy Scouting is an action program, and wearing the uniform is an action that shows each Boy Scout’s commitment to the aims and purposes of Scouting. The uniform gives the Boy Scout identity in a world brotherhood of youth who believe in the same ideals. The uniform is practical attire for Boy Scout activities and provides a way for Boy Scouts to wear the badges that show what they have accomplished.